Do you have a long layover coming up at San Francisco International Airport this spring? 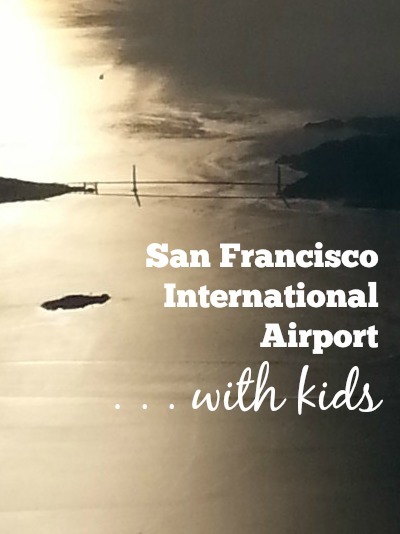 We do, so I set out to investigate just what there is to do at SFO when you're stuck there for hours with kids in tow. To my surprise this is an airport that seems to cater to families more than most. There are Kids Spot play areas in terminals 2 & 3, and a fun self-guided tour in each terminal that ends at an information booth where kids can get a prize for completing the tour. There's also an aviation museum and a rotating lineup of art exhibits from the S.F. Museum of Art, and a number of restaurants in the airport offer special kids menus. Plus a lot of the airport has been recently updated, with comfortable seating areas, large bathrooms and special family bathrooms, lots of outlets for recharging devices throughout the concourses, and handy water bottle refill stations so the whole gang can stay hydrated. I'm actually looking forward to our layover now, and how often can you say that? Lori's Diner (Terminal 3) - plus print out this 20% off discount coupon to save a bit on food.